Now remember how it was my 40th birthday last Wednesday, and I shared pictures of my bithday cake and everything? Well it turns out that was just a decoy cake! Today, whilst relaxing over breakfast, my hubby asked me if I had anything planned for today. 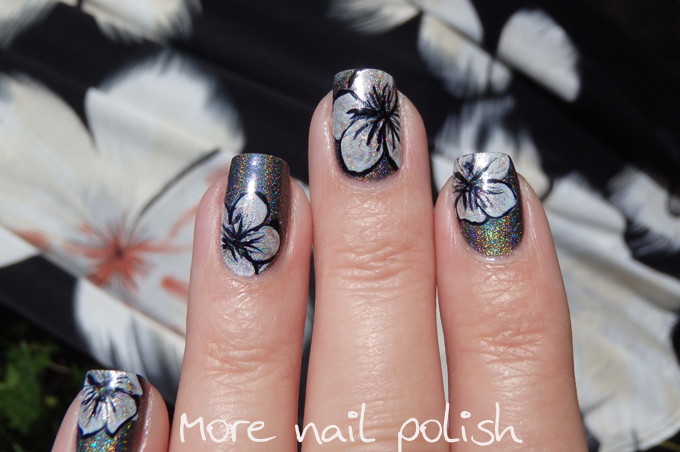 I told him that after my birhtday last week and then the flying visit up to Noosa, I was keen to just kick back on the sofa and relax and maybe get some nail polish swatching in. That's when he told me that I needed to put a nice dress on, do my hair and makeup and be ready to leave at 11.20am. This also meant I had to do my nails, because I still had on the nails I showed yesterday that I wore to the wedding. I really hate surprises, I'm far to organised and planned for them! I'm not a fan on uncertainty and really don't like getting in the car and not being told where we were going. But of course it turned out awesome. He had organised a gathering of all my family and a close friend and their family to come on a three course luncheon cruise on Lake Burley Griffin (which is the large lake in the middle of Canberra city). It was wonderful, the food and company was great and the kids had a wonderful time. It was also amazing to get a totally different perspective on the city I have lived in for my entire life. Cruising the lake showed a totally different side of Canberra that I had never seen. These are the nails that I really quickly put together this morning in another matchy-matchy ensemble with my dress. You can see my dress in the background, it was black with large cream colours flowers on it. Of course my mum and pulled off another amazing cake! 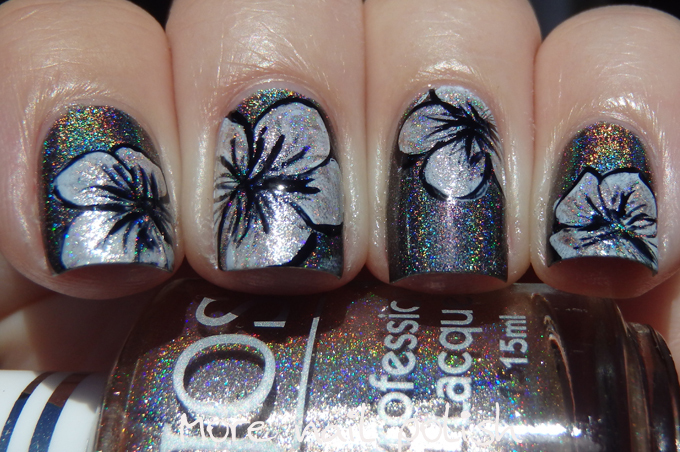 A HUGE bottle of Picture Polish Kryptonite. She explained to me that she had to create the other cake on my birthday as a decoy! The image on the top was an edible print of an actual bottle - which I believe I owe a big thank you to the girls from Picture Polish whom my husband had secretly contacted to get a nice high res picture. 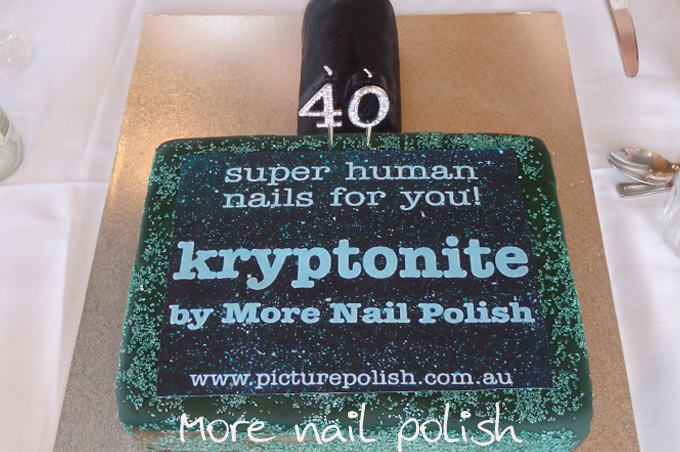 Fabulous nail art and birthday cake ! Your husband and mum are so great for putting that together!! 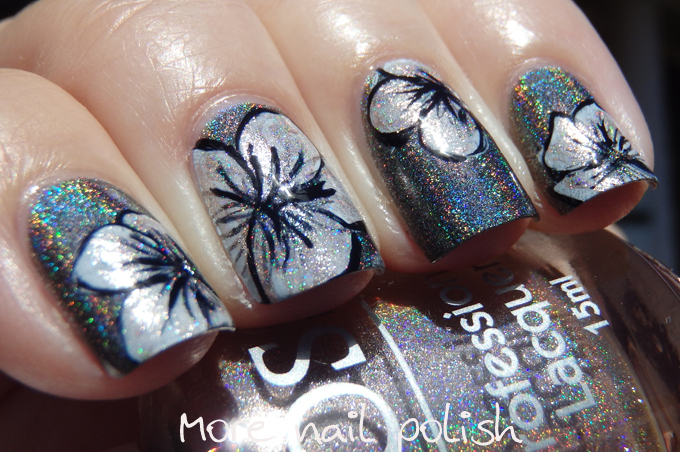 :) I can't believe this Mani is a quick one you through together! It's beautiful! Happy birthday, you are entering the best decade! Lovely cake and spectacular manicure! 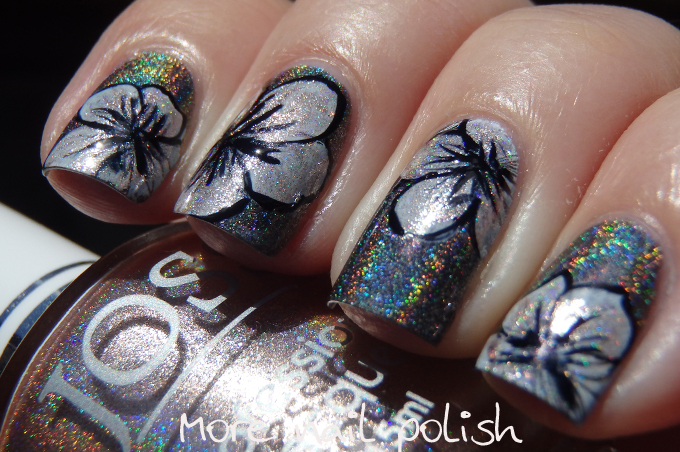 This is a beautiful manicure, and that cake is amazing!